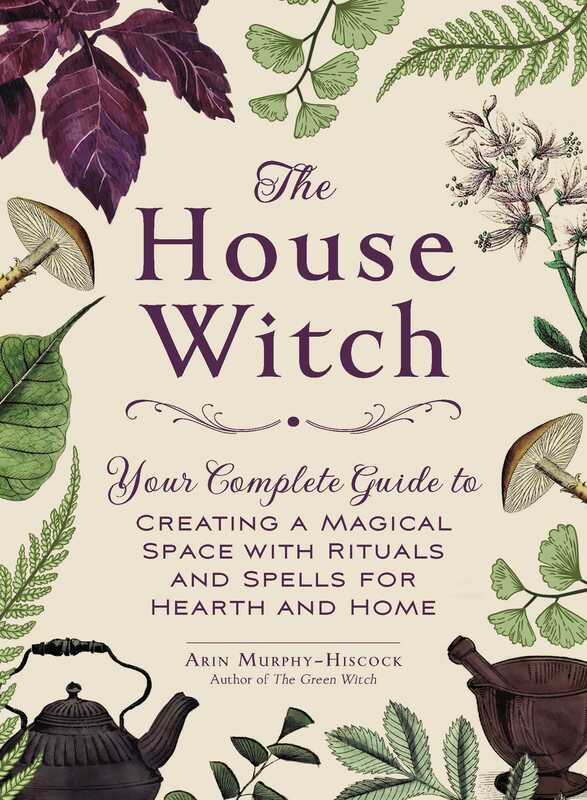 Everything you need to know to create your very own “sacred space”—perfect for practicing home-based witchcraft including spells, rituals, herbalism, and more!—from the author of The Green Witch. -Call upon the kitchen gods and goddesses. -Produce hearth-based arts and crafts. Learn how easy it is to transform your home into a magical place that enhances your practice and nurtures your spirit! Arin Murphy-Hiscock is the author of Wicca, The Way of the Green Witch, The Green Witch, The Way of the Hedge Witch, Pagan Pregnancy, Power Spellcraft for Life, Solitary Wicca for Life, and The Hidden Meaning of Birds: A Spiritual Field Guide. She has been active in the field of alternative spirituality for over twenty years and lives in Montreal, Canada. "From spells and rituals to tips on setting up a sacred space, it’ll tell you everything you need to know about practicing witchcraft at home. With House Witch as your guide, your house will be a magical space that nurtures your soul in no time." "Overall this is a good book related to hearth magic from a northern perspective. I found it useful in giving me some background on the European background of household magic." "A book which brings together all the spiritual and happiness that home and hearth can represent. I highly recommend it for anyone on any spiritual path." "A useful stepping stone for those who are home focused."